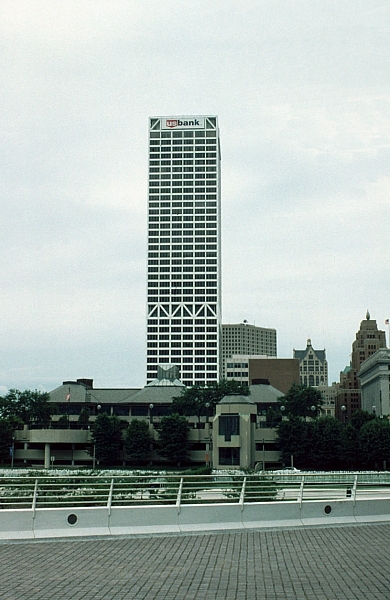 At 42 floors and 601 feet, Firstar Center is Wisconsin's tallest office building. 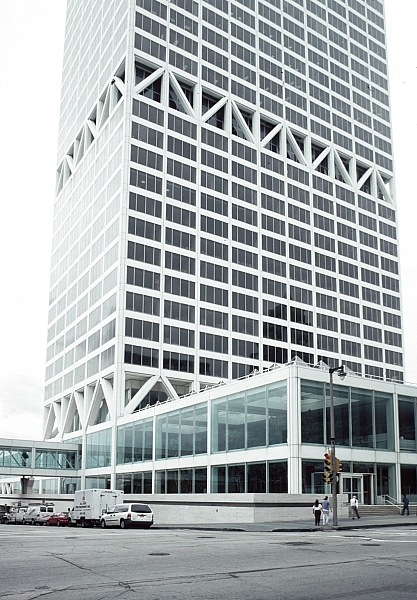 It was Firstar's headquarters until 2000, when they merged with U.S. Bank. 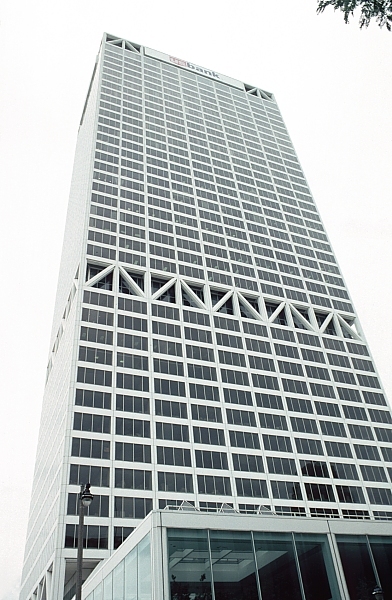 Although it is an International Style building, primarily of glass and coated aluminum, the repetitive fenestration of the shaft is varied by diagonal trusses extending horizontally across two floors in the center and at the top. 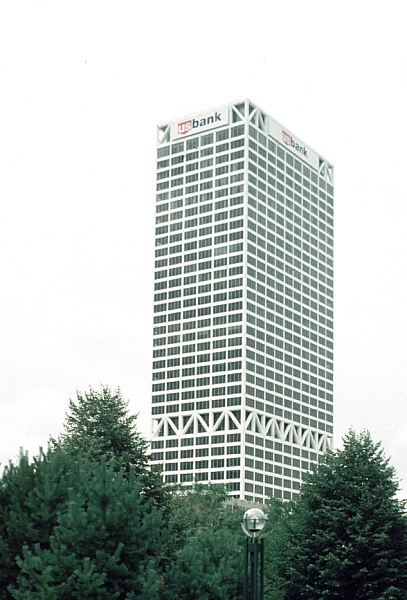 The bank's original home was the First National Bank Building. 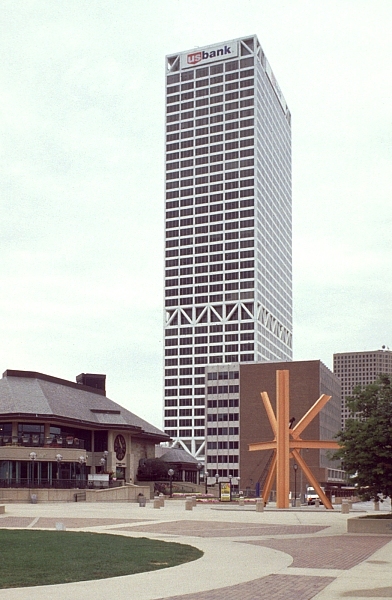 The tower extends from a two-story podium at the base. 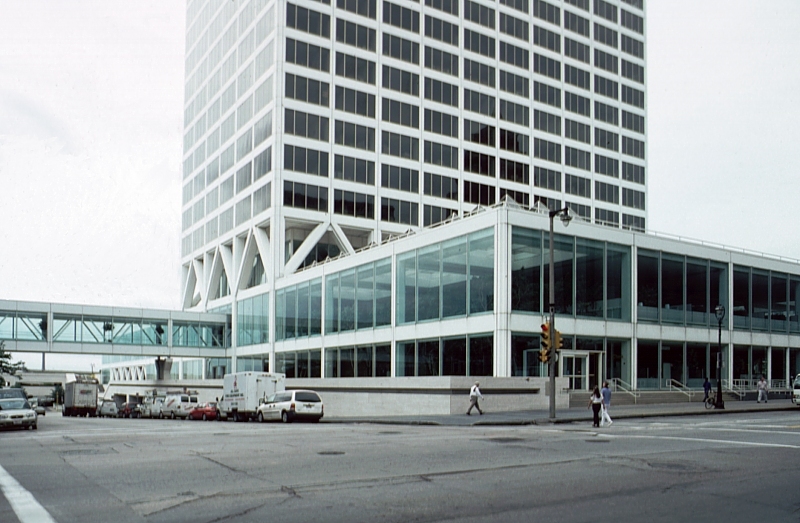 This glass-enclosed area includes banking facilities and a public mall with shops and restaurants. See Index for other works by SOM.